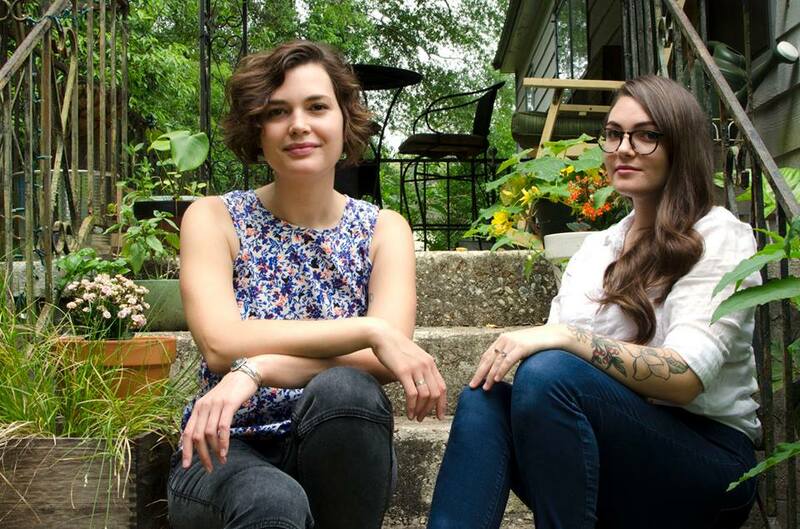 COCA welcomes co-directors Haley Lauw and Elise Thompson to 621 Gallery beginning May 1 and sends a big thank you to exiting director Cynthia Hollis for many years of wonderful work! Haley Lauw moved from coast to coast as a kid with a military dad, but considers herself a native of the ecologically-diverse-and-rather-damp Gulf Coast of Florida. Haley has a background in fine arts, writing, arts administration, and event planning. She received her Master of Fine Arts from Florida State University in May 2015, and has taught Printmaking and Sculpture courses at Florida State University since 2012. Haley has served as faculty advisor for Florida State University’s registered student organization for Printmaking, through which she worked with undergraduates in facets of community outreach, career development, and involvement with international conferences. Haley served as Gallery Director of the Working Method Contemporary gallery, the Master of Fine Arts candidate-run gallery through the non-profit organization the League of Graduate Artists, from 2012 – 2013. She also served as president of the League of Graduate Artists in 2013, during which time she helped to facilitate group exhibitions within Art Basel in Miami, FL. She was the recipient of the Mary Ola Reynolds Miller Endowed Graduate Scholarship in Visual Arts and the FSU CVATD Graduate Scholarship Award, and has been a nominee for the International Sculpture Center Award. Haley’s work has exhibited nationally throughout Florida, Georgia, Ohio, and New York, and has been featured in online publication toiletpapermagazine, curated by Maurizio Cattelan and Pierpaolo Ferrari, and is supported by international curated artist registry Culture Hall. In addition to her new position as co-director of 621 Gallery alongside Elise Thompson, Haley will continue to instruct fine arts courses through FSU while making new work in her industrial district warehouse studio. Elise Thompson was born in Cincinnati, OH, and received her MFA in Studio Art at Florida State University in 2016. Elise interned for the Cincinnati Arts Museum in Registration between in 2011, and was a preparator/art handler at the Contemporary Arts Center in Cincinnati between 2011-2013. She has also been a Teaching Artist at ArtWorks Cincinnati for the past three years during ArtWorks’ summer community mural program, which employs students between the ages of 14-21 to complete large-scale murals in various neighborhoods in the city. Elise was elected and served as Gallery Director of Working Method Contemporary in 2014: the Master of Fine Arts student facilitated gallery through the non-profit the League of Graduate Artists. WMC recently showed at Aqua Art Miami during Art Basel in December 2015. She was awarded the Brian Andrew McLaughlin Award in 2014 and 2015 and participated with the Cátedra Arte y Enfermedades in an international project titled “Perspectives: Art, Liver Disease, and Me” with an exhibition in Valencia to bring awareness about patients who suffer from hepatitis C.
Elise received an Exceptional Opportunities Award from the Art Department of FSU after being accepted to the Boom Gallery Summer Fellowship and Residency in Cincinnati in 2015. Recently, she was awarded the Mary Ola Reynolds Miller Endowed Graduate Scholarship in Visual Arts and will be published in New American Paintings #124 South. Along with taking on the position of co-director at 621 Gallery with Haley Lauw, she is an instructor of record at FSU in Foundations.